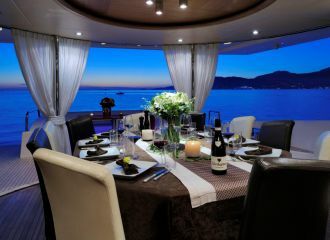 This Azimut 100 yacht boasts generous deck space with a dining area on the aft deck, a large sunbathing area and a dining table on the foredeck as well as a sunbed, a seating area, a jacuzzi and a bar up on the flybridge. 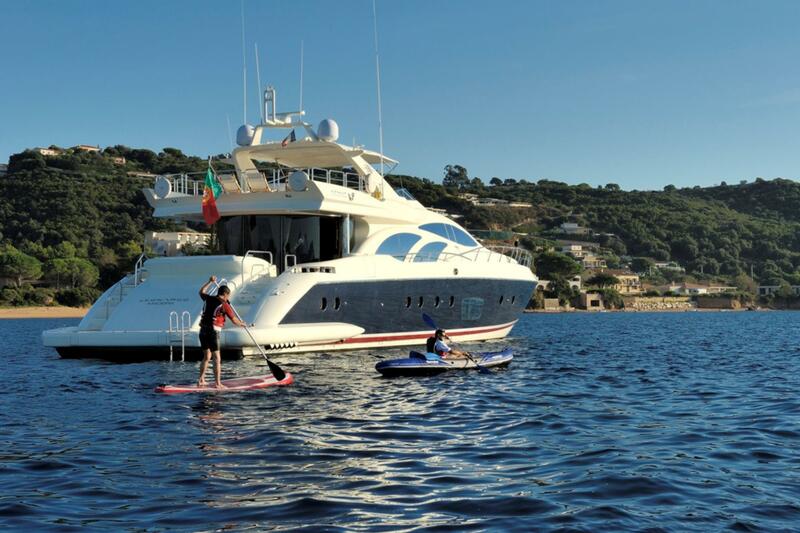 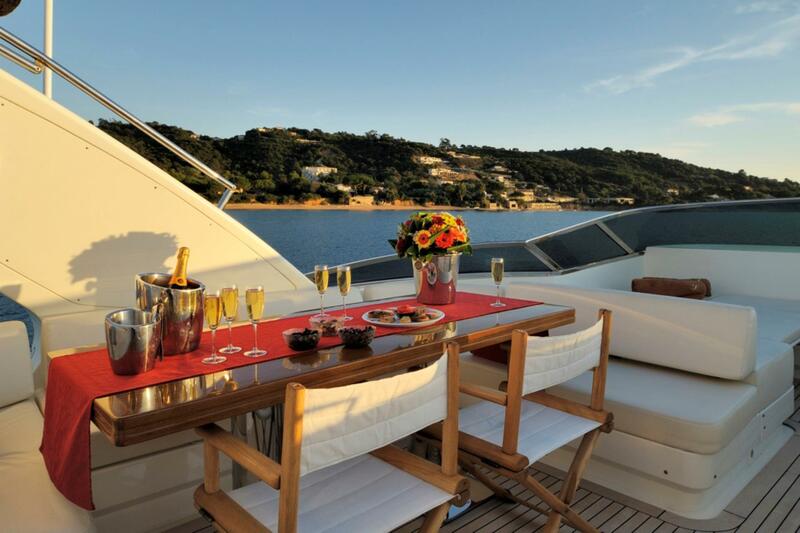 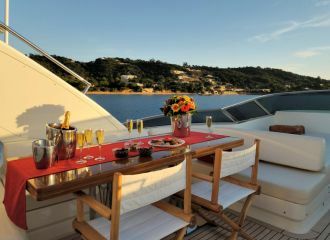 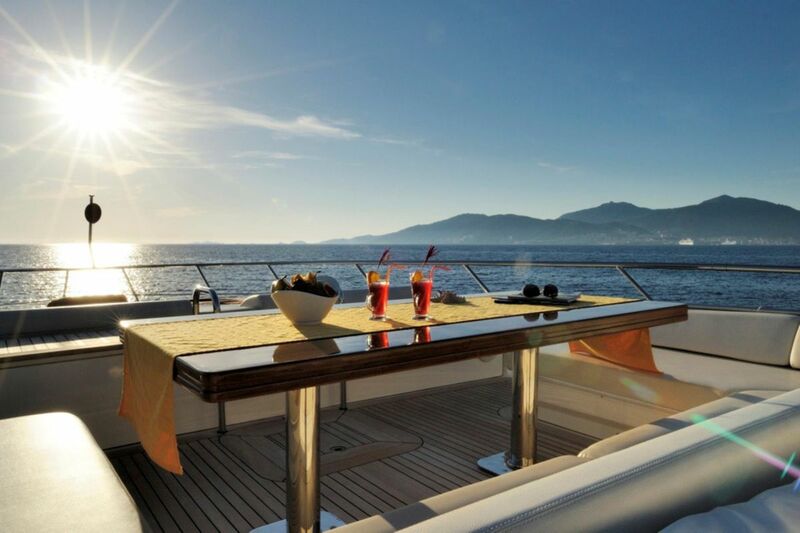 The yacht is the perfect combination between a powerful open style yacht and a spacious flybridge vessel and makes the ideal charter yacht for a south of France yacht rental. 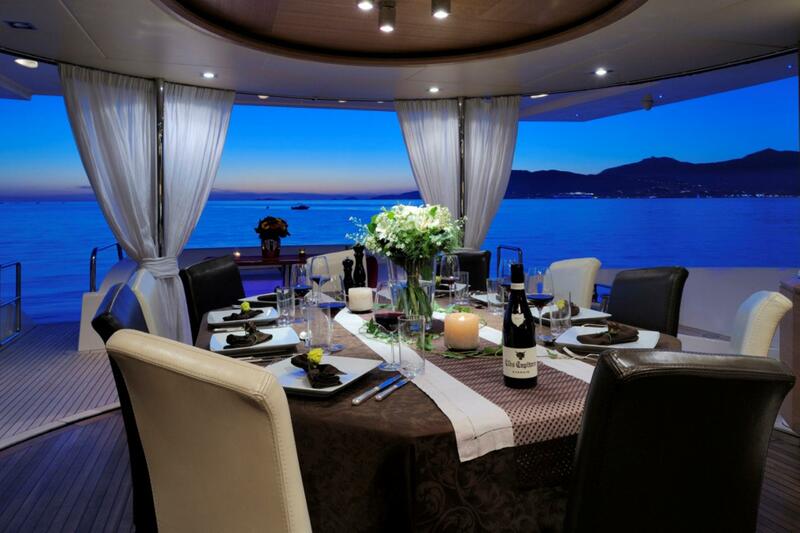 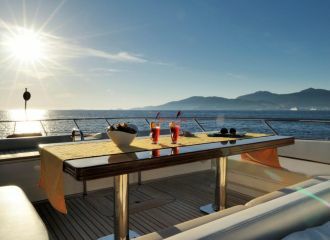 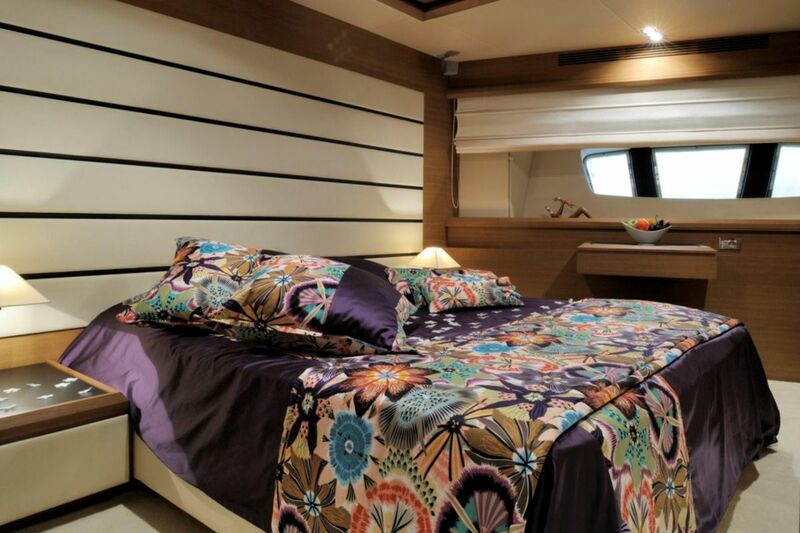 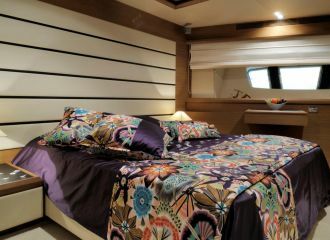 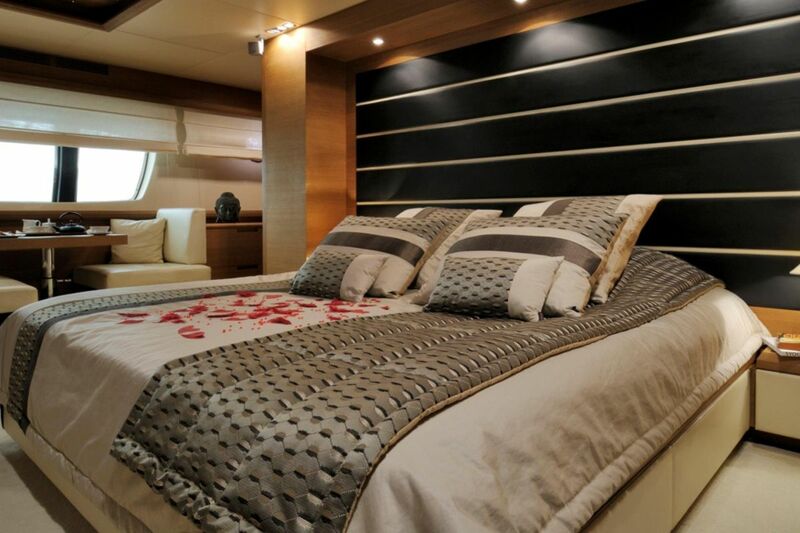 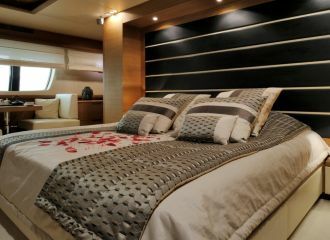 This Azimut 100 yacht accommodates up to 10 guests in 4 cabins: 3 double and 1 twin, all with en-suite facilities. 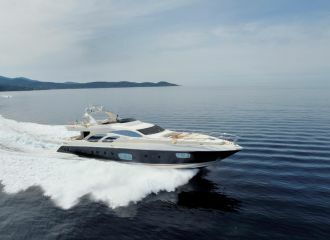 total 10000	€ Excluding VAT and APA ?